Let's be honest; Second Ward seems like a culinary desert (to put it kindly). What was once Brooklyn, a thriving African-American community in Charlotte, is now home to the Mecklenburg County Courthouse, City Hall, other government offices, the county jail, Marshall Park, the aquatic center and food wise, a Cluck-n-Cup and Quizno's, only open on weekdays. Though I hate to keep sharing all of my best kept Charlotte restaurant secrets, it's kind of my job, isn't it? So here goes: Second Ward is not just home to Charlotte's government district but it's also home to one of the Queen City's best culinary experiences, Le Meridien's Evoke Restaurant. Walk past the courthouse and Marshall Park, look past the gray exterior of the former Blake Hotel, and step into Le Meridien's sleek, modern lobby. Le Meridien's lobby is the kind of place where I feel like I've been transported directly out of Charlotte and I am immediately super uncool; it radiates a chic, swanky vibe, tied together with funky splatter paint carpets and pops of yellow. In the corner of the lobby you'll find Longitude 80, a sleek, wood bar where bartenders sling creative cocktail creations (each bartender has their own menu dedicated to the cocktails they've created, but they can make each others' menus). While cocktails are important, stay focused on your mission and head straight past the bar to the hotel's restaurant, Evoke. Evoke is a "new-age steakhouse" whose focus is on steaks, house-made pastas and fresh crudos using seasonal ingredients. As the seasons change, so does Evoke's menu; featuring bold flavors of apple and butternut squash in the fall, and more delicate sugar snap peas with notes of garlic and lemon in the spring. I highly encourage you to explore Evoke's menu through a four (or five, with dessert) course meal. 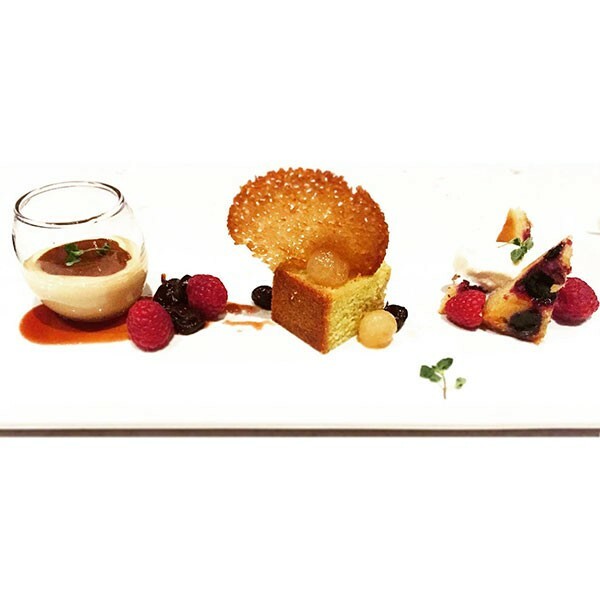 Each course highlights different flavors and unique culinary techniques. 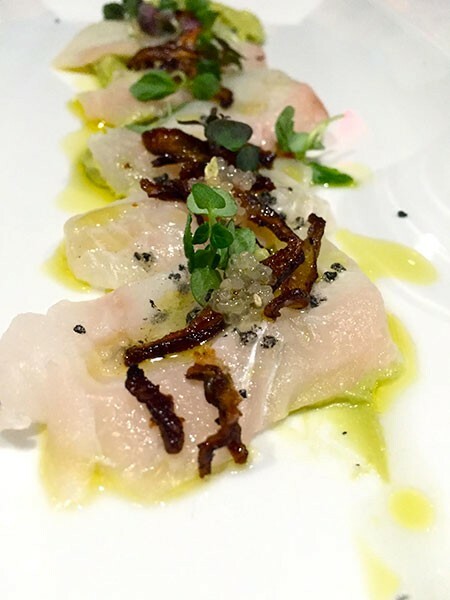 Start with a crudo, meaning "raw" in Italian; fresh, uncooked fish, thinly sliced and drizzled with olive oil, an acid (for example, lemon) and accented with seasonings (my favorites of Evoke's options are the ceviche and yellow fin tuna). Next up, indulge in a pasta course, all handmade in house. 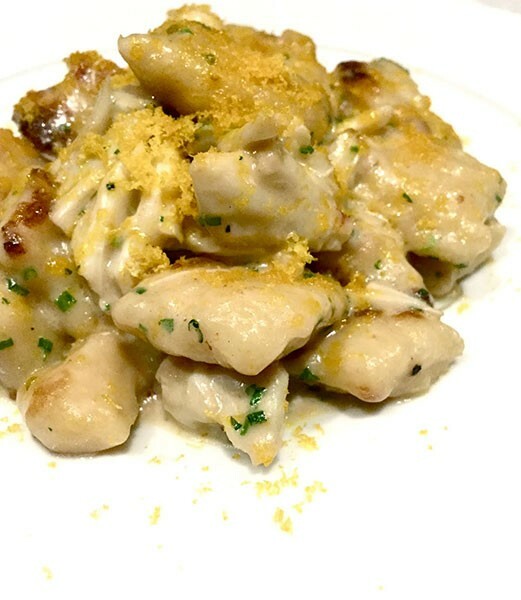 The crab gnocchi is out of this world; it's delicious, tender, and has a little touch of sweetness from the blue crab. My other half (a man of very few words and not one who is fond of flowery adjectives) particularly enjoys the bucatini (with beef tenderloin, maderia, mushrooms, and a pine nut crust), describing the earthy, robust dish as "phenomenal." After pasta, spring for a salad or appetizer; the seasonal soup is always a good choice (I'm just drooling at the thought of a succulent Sweet Onion Soup), and you can't go wrong with a frisee salad with a perfectly poached egg taking the place of salad dressing. If you're not full already (if you are, push through it), finish up with a fourth savory course. Since Evoke is a steakhouse, I always spring for a steak and have enjoyed both the 21-day dry aged NY Strip and the ribeye. If you're not in the mood for red meat, seafood brodetto, scallops, pork tenderloin or chicken are all solid choices. Your entrée side choices will vary depending on the season, so round out your meal with a few veggies or some truffle pomme frites. And please don't forget dessert. You'll want to peruse the dessert menu for a while but let me save you the time; just order the butterscotch budino. It comes with salted caramel shortbread cookies, that should quickly be dipped in the budino. It's what dreams are made of.